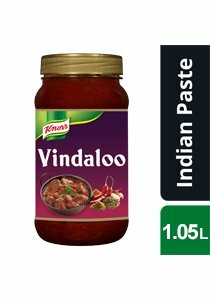 Vindaloo Paste is a hot spice blend which contains coriander, tamarind, cumin, turmeric, chilli,and spices. 1.05 kg per pack. 20 g per serving/portion.